We were able to in a short time see the coastlines of France, Italy and Spain. No matter how difficult and popular the port of call was your team was able to network and find us a berth in the most desirable of locations. I am writing this letter to commend SYM and your dedicated team of yachting experts. I was fortunate to acquire a new Sunseeker yacht near Cannes France that was previously managed by your company. Your expert team was able to prepare SOFI V for an extended cruising vacation throughout The Mediterranean Sea in a very short period of time. 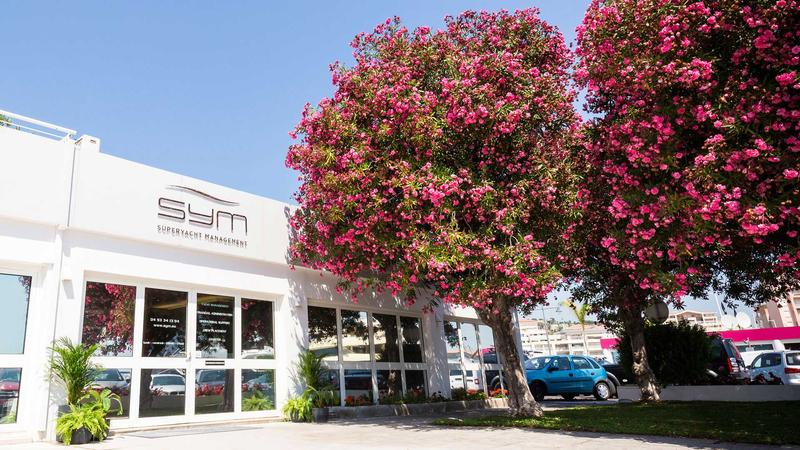 SYM was able to provide mechanical services, soft goods, cruising advice, staffing services, compliance logistics, financial administration and operational support during our entire journey. We were able to in a short time see the coastlines of France, Italy and Spain. No matter how difficult and popular the port of call was your team was able to network and find us a berth in the most desirable of locations. And this was always accomplished in a short period of time with little advance notice. From St. Tropez to Capri we have enjoyed the best marinas. Because of SYM and their relationships we had excellent service at all of the ports we visited. Being on a boat we are accustomed to things not always going as planned. When weather intervened we were able to adjust our schedule and continue our holiday. When “issues” arose we always knew you could find us a solution. SYM even went to great lengths to resource a part for our generator and had a staff member deliver it to us personally taking many hours out of her schedule to assist us. We cannot thank you and the team at SYM enough for making our 2015 summer Mediterranean cruise the best, one that SOFI V and her guests will not forget. As we prepare to load our boat and ship her back to the USA knowing that there are companies like SYM will make returning to the Med an easy option. I promise to give you more ad-vance warning. My only complaint is that we do not have service like yours in Florida and the Bahamas. Wishing you con-tinued success in the yachting world and cannot wait to repeat this journey on SOFI VI.